Vaccine rejectionism is based on a profound lack of knowledge about immunology, statistics and science. Virtually every single empirical claim of vaccine rejectionism is factually false, but parents who lack even the most basic understanding of immunology are often incapable of evaluating those empirical claims. Indeed, those parents most likely to proclaim themselves “educated” on the topic are generally the most ignorant. A new paper on a recent measles outbreak, Measles Outbreak in a Highly Vaccinated Population, San Diego, 2008: Role of the Intentionally Undervaccinated, provides insight into the erroneous beliefs eagerly adopted by gullible and credulous parents. … They reported substantial skepticism of the government, pharmaceutical industry, and medical community. They believed vaccination was unnecessary, because most vaccine preventable diseases had already been reduced to very low risk by improvements in water, sanitation, and hygiene and were best prevented by “natural lifestyles,” including prolonged breastfeeding and organic foods. In contrast to the immunity produced by disease, they felt that vaccines could damage the immune system while producing a number of other immediate and long-term adverse health conditions, particularly those involving the child’s neurologic system. The paper highlights yet another false empirical claim of vaccine rejectionism. To the extent that they consider the impact of their actions on others, vaccine rejectionists falsely believe that no others can or will be harmed by their refusal to vaccinate their children. In the San Diego measles outbreak, fully 25% of the children who became ill were too young to be fully vaccinated. In addition, 48 children too young to be fully vaccinated had to be quarantined because of known exposure to an affected child. Although only a small number of children was ultimately affected (12 cases of measles), the total cost of the outbreak was over $175,000 of which $125,000 was born by the taxpayers. …The index patient’s sister infected 2 schoolmates and exposed an unknown number of children at a dance studio. One infected classmate of the index patient infected his own younger brother and exposed 10 children at a pediatric clinic, 18 children and adults at a clinical laboratory, and an unknown number at 2 grocery stores and a circus. Another infected classmate of the index patient exposed an unknown number at an indoor amusement facility. Four secondary patients from clinic A returned to the same clinic while symptomatic on 4 separate days … thus exposing 37 children. Of these same 4 patients, 1 exposed an additional 95 children in a preschool on 2 consecutive days, 6 patients at an outpatient laboratory, and 47 children at a swimming-instruction facility; the second patient exposed children in the same swimming class; the third patient exposed 55 students in a school and 10 persons at an outpatient laboratory; and the fourth patient potentially exposed 166 passengers on an airplane flight to Hawaii. Ultimately 73 children, including intentionally unvaccinated children and children too young to be vaccinated, were quarantined for 21 days each because of significant exposure to measles. The San Diego outbreak was a small exposure in a city with high vaccination rates. Therefore, the outbreak was easily contained. But there would have been no outbreak at all if it weren’t for the vaccine rejectionists. The outbreak was brought into the community by an intentionally unvaccinated child and initially spread by other intentionally unvaccinated children. Even though the outbreak was easily contained, one quarter of children who became ill were too young to be vaccinated, and the taxpayers spent $125,000 containing an outbreak that was entirely avoidable. Vaccine rejectionists don’t hurt just their own children, they hurt everyone else’s children and they cost the taxpayers large sums of money to contain the results of their gullibility. 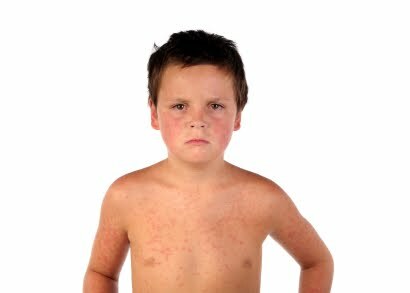 San Diego ought to present a bill for $125,000 to the parents of the intentionally unvaccinated child who introduced measles into the city. Perhaps compelling vaccine rejectionists to put their money where their mouth is might make them think twice about exposing the rest of us to preventable diseases.